An Orlando woman was injured Aug. 8 when an alligator bit her while she was swimming in the Wekiva River just west of the Wekiva Island Marina. Rachael D. Lilienthal, DOB 12/4/77, was swimming upstream away from a crowded beach area when she was bitten by an alligator, according to Florida Fish and Wildlife Conservation Commission (FWC) officials. Lilienthal was bitten at least twice and her right arm was severed above the elbow. As she struggled against the alligator, kayakers came to her rescue. 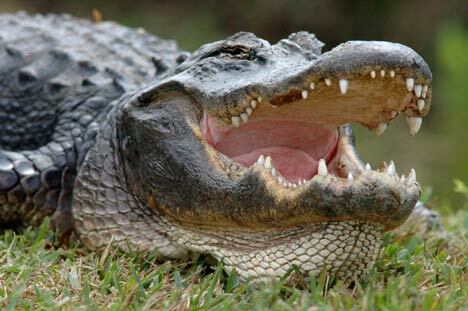 One of the kayakers struck the alligator with a paddle, causing the animal to release Lilienthal. The two kayakers brought her to the marina where Seminole County deputies administered first aid and emergency medical personnel were called. Lilienthal was transported by Seminole County Fire and Rescue to Orlando Regional Medical Center for treatment. At approximately 12:25 a.m. Aug. 9, the alligator was captured and euthanized. The FWC is continuing the investigation.